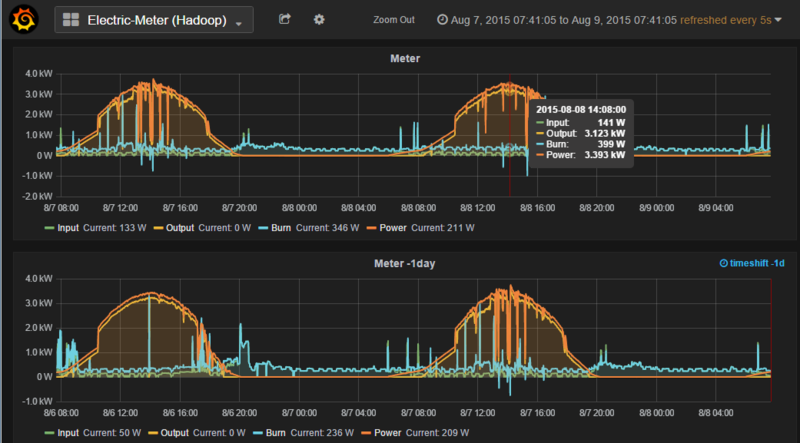 With a Java-Datalogger we can write events and alerts to different data sinks. 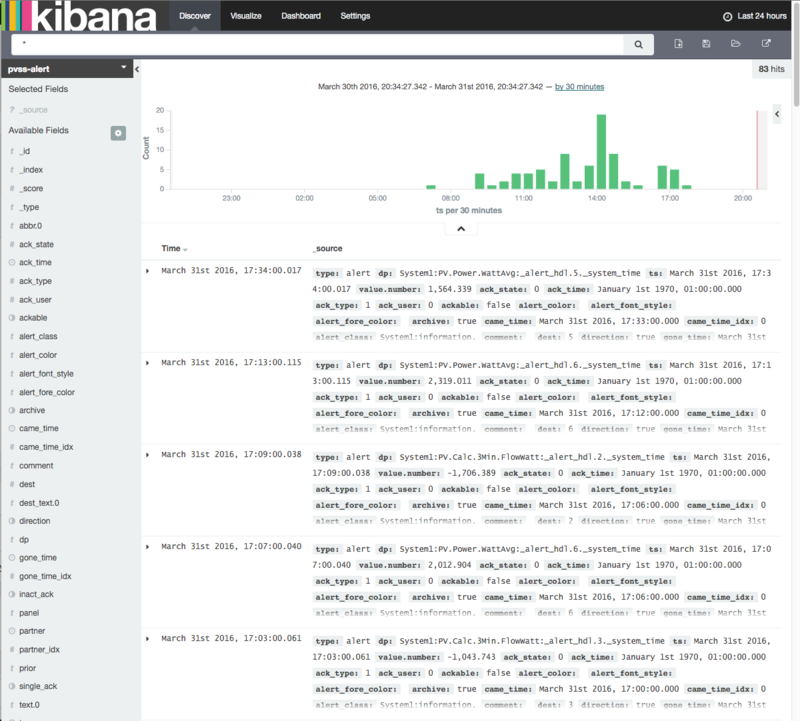 For example we can use ElasticSearch and Kibana to discover alerts collected by WinCC OA. 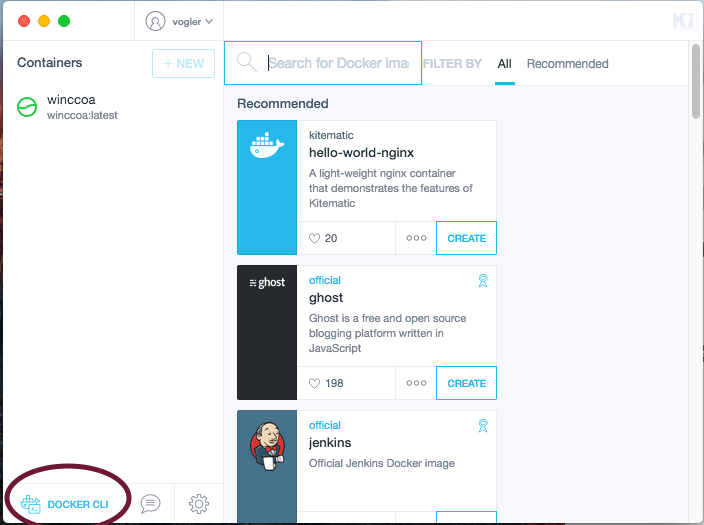 Elasticsearch provides full text search, analytics, dashboards. And now it also supports graphs! Did a first test with Cassandra as NoSQL database store for WinCC OA event logging. 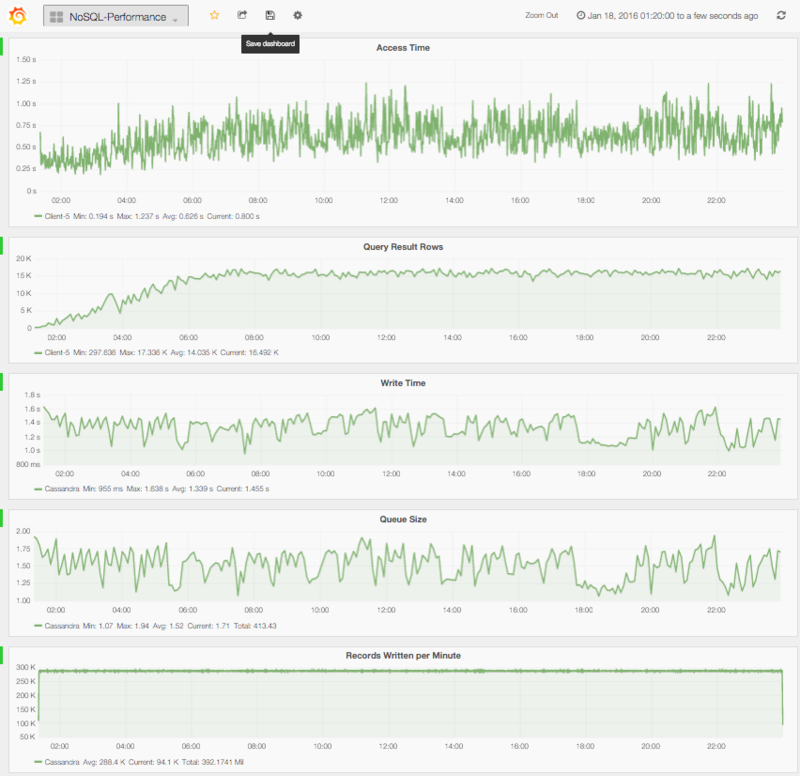 Cassandra was easy to install, pretty good write performance and very good read performance. Compared to e.g. OpenTSDB the CPU load on client and server are higher. Test-Setup: 5000 values/second, 24h, 392 Mil.Records, One Hyper-V server on an i7 3.1Ghz with 4 Cassandra nodes, each node with two cores, disks on a shared storage space device with 4 disks and raid 0 (i know that’s not a real life scenario for a NoSQL cluster). WinCC OA and the Java-Historian-DB-Logger running on another Hyper-V server on an old i5 CPU 750 @ 2.67 Ghz. Databases for WinCC OA Logging…. I have implemented a Database Logger for WinCC OA which supports different databases. 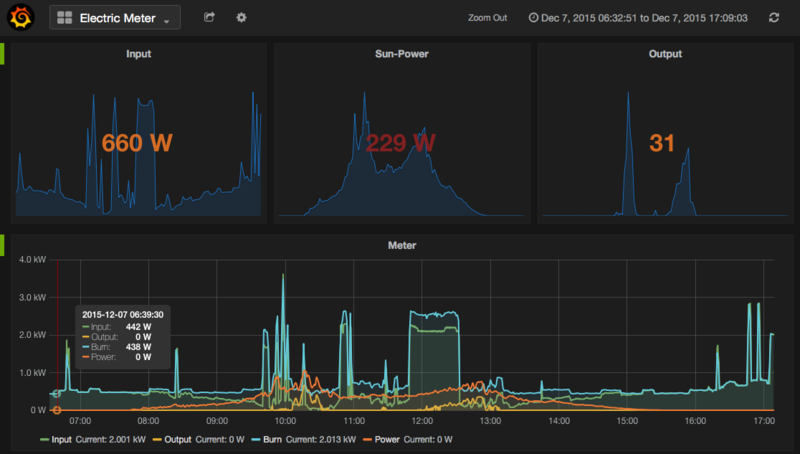 I did now a first test to compare some databases with WinCC OA and time series logging. 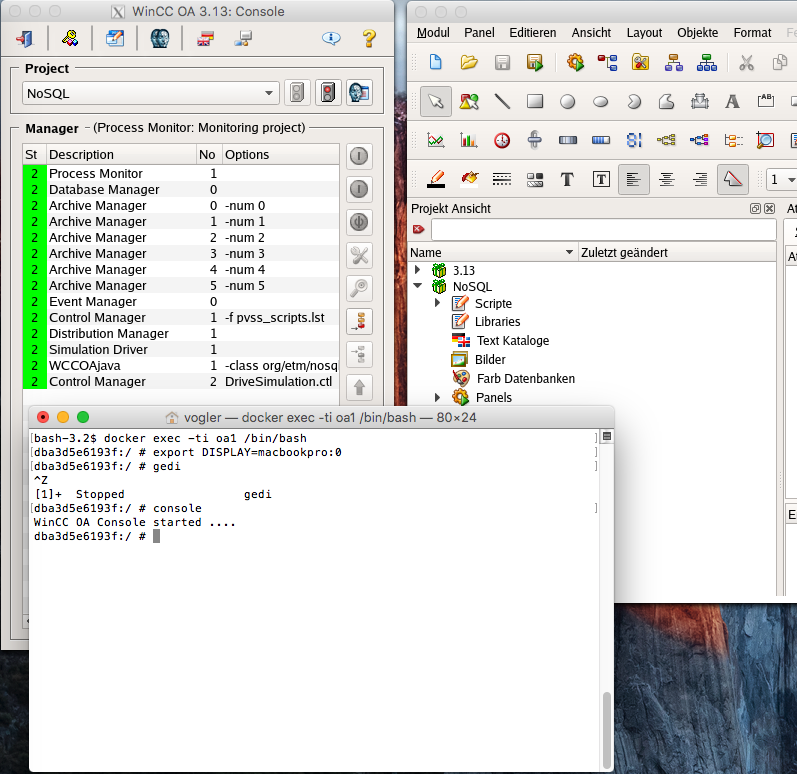 The logger is writing 1000 values/second to four databases in parallel: MSSQL Server, InfluxDB, Phoenix (based on Hadoop/HBase) and Oracle. Four Ctrl-Scripts are querying data with dpGetPeriod every 10 seconds, random time frames (between 1 and 2 hours of data). 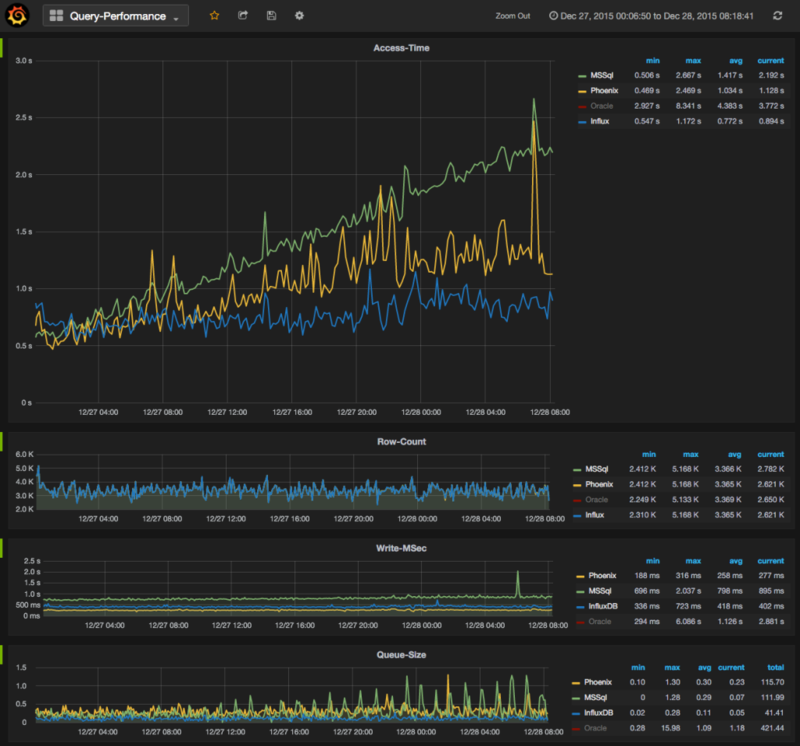 Oracle seems to be slower (i think this is related to my test environment), but the access and response times are stable with growing amount of data in the database. remark: at 10pm the Oracle DB backup starts. 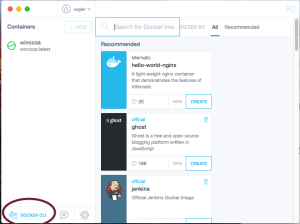 On a Mac install the Docker Toolbox. 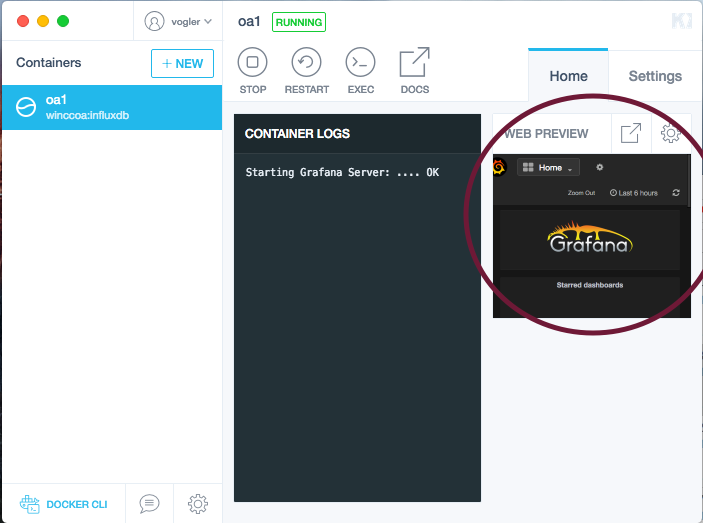 Afterwards you will see your new container and at the preview you can already see the Grafana dashboard, click on it and it will open in your browser. 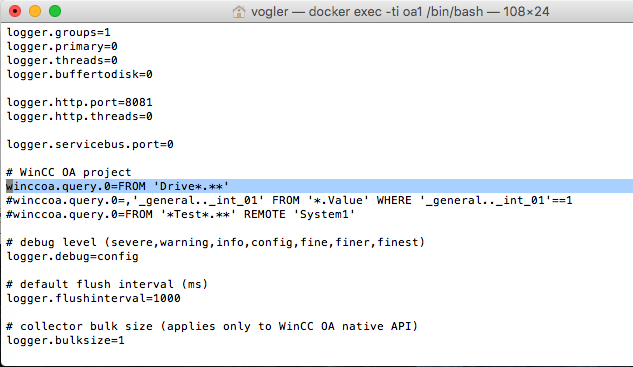 or type “console”, it will open the WinCC OA Console. There you can set the query part of what you wanna log into the InfluxDB. You can specify the FROM clause of a WinCC OA query, also remote queries are possible (if you connect another OA system to this system (distributed system)). Then you have to restart the NoSQL Database Logger – it is the WCCOAjava program you see in the console. Right, it is implemented in Java with a native API to WinCC OA. Forwarding events from WinCC OA to OpenTSDB, which is based on HBase. 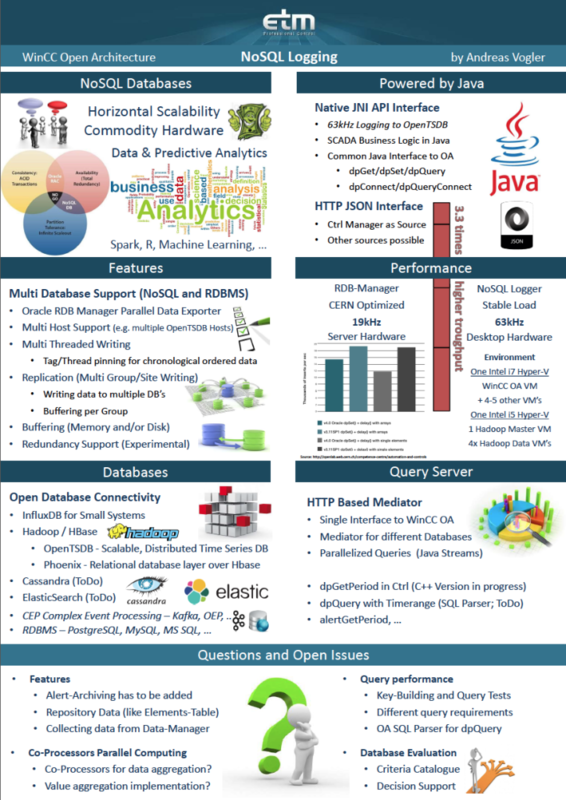 Based on OpenTSDB Grafan can be used to build cool dashboards in a very fast way. On my test environment (i7 with 32gb RAM and 8 threads) i was able to push about 20000(!) 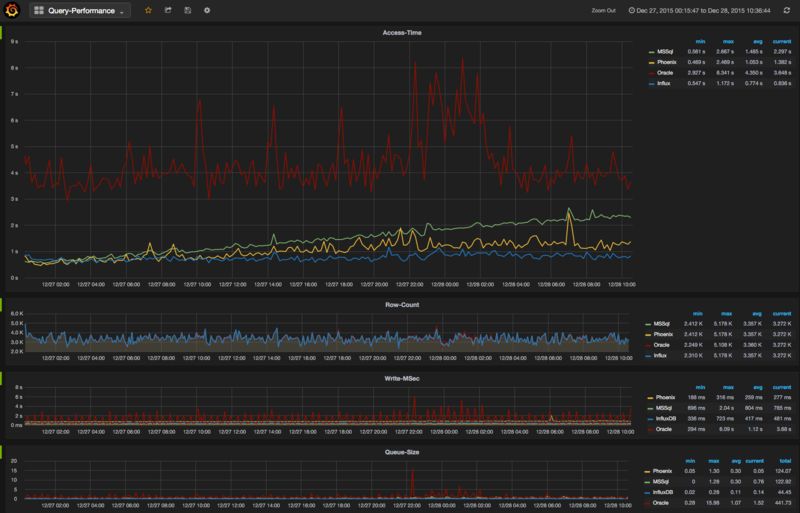 values per second from my WinCC OA system to my Hadoop/HBase cluster. WinCC OA and the Hadoop Cluster are running on Hyper-V.